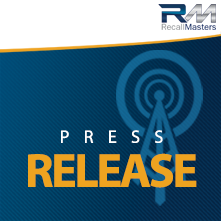 Laguna Hills, CA– July 25, 2016 – Recall Masters, Inc., the leading provider of automotive recall news, data, training, and communications, today announced that it has added “Don’t Drive” and “Stop Sale” recall tracking into its software system and is the first software company to digitize this data into its SaaS API and batch processing platforms. The tracking of recalled vehicles has greatly increased in the United States and new severity warnings such as “Don’t Drive” recalls are increasingly published in the news so as to inform consumers. For example, as certain vehicles with Takata airbags age they become more susceptible to malfunction and has prompted a public notice by NHTSA warning consumers to “Don’t Drive” these vehicles until the requisite repairs are made, especially in high-humidity states. Subaru also recently issued a “Don’t Drive” recall for steering column malfunctions. Recall Masters is now tracking and making this vital information available for instant lookup via its API and data processing service. “Recalls have become such a widespread problem across the United States that a Silicon Valley Big Data approach is needed to tackle the problem and that is where Recall Masters comes in,” said Christopher Miller, CEO Recall Masters, Inc.
At every touch point from vehicle sales, to inventory management, automotive repair scheduling and service lane visits, to auto rental and corporate fleets, Recall Masters now places actionable information at the fingertips of automotive sales and service centers, as well as consumers, nationwide. “As the government, manufacturers, automotive repair centers and Big Data software companies like Recall Masters better unite to tackle the recall epidemic faced across the United States and beyond, we are continually evolving our systems and database to provide the most relevant information possible to consumers and their automotive service providers. The addition of ‘Don’t Drive’ and ‘Stop Sale’ recall tracking into our data set is just one more step in the right direction to ensure consumer safety and to mitigate risk of automotive-related injuries,” Miller stated.